Scouts is the section in Scouting for young people - both boys and girls - aged from 101/2 to 14. There are 9 Scout Troops running currently in the South East Berkshire District. The details of the nights they run and which local area is shown on the Information for Parents page. There are typically between 10 and 20 children in each Troop and there will usually be a ratio of 1 leader to every 10 children. 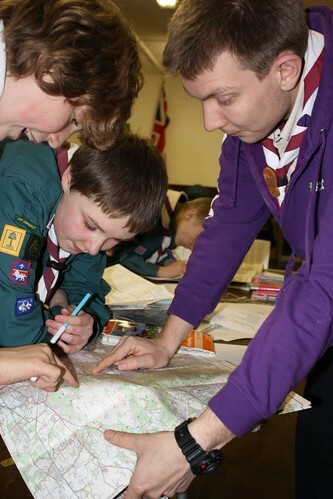 The Scouting UK website explains the Scout programme in detail if you'd like to know more. There is also a Frequently Asked Questions page which you might find helpful. We currently have waiting lists at a number of our Scout Troops so please contact us early if you would like your child to take part. We'd like to be able to offer more spaces but this depends on us finding more adult leaders. If you think you might be interested in helping please see our Volunteering page for more information.